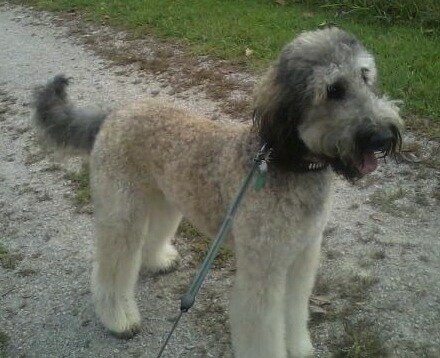 The Shepadoodle is not a purebred dog. It is a cross between the German Shepherd and the Poodle (Standard, Miniture or Toy). The best way to determine the temperament of a mixed breed is to look up all breeds in the cross and know you can get any combination of any of the characteristics found in either breed. Not all of these designer hybrid dogs being bred are 50% purebred to 50% purebred. It is very common for breeders to breed multi-generation crosses. "This is Bailey. He is almost 11 months old. His dad was a German Shepherd and his mom was a Standard Poodle. He weighs about 76 pounds. Bailey is a kind and loving dog. He stays by my side when I’m around and will follow me everywhere. He loves other dogs and kids. He is very shy in meeting new people but once he decides he likes the person they become almost like his friends as my family calls it. Everyone loves meeting him! He at 10-weeks-old was super quick to learn sit, shake and down. His recall word was let’s go and it didn’t take him long at all to know his commands. House training was a breeze with him. All and all I would say he is an amazing dog who is vocal and is to smart for his own good! Bailey is a big goofball I laugh at him everyday!" 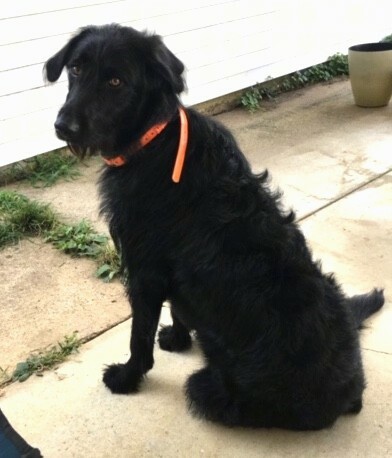 Kyser the German Shepherd and Standard Poodle mix at 1 1/2 years old—"Kyser is a happy-go-lucky boy. He loves all people and other dogs. Very obedient, he excels at any type of training. We get his grooming done every 3 weeks. Kyser has been a joy to have in our family, even when he is having a "Kyser bratty moment" everyone still loves his goofy personality and sweet temperament." 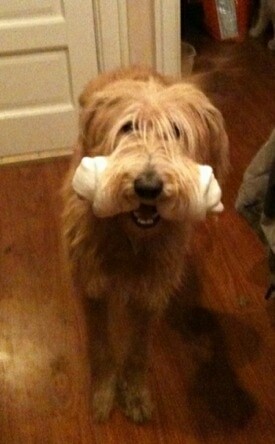 "This is Magellan, a 50% White Shepherd, 50% Red Standard Poodle (a cream and red Shepadoodle) at about one year old. His owners call him..."Brilliant"!!" 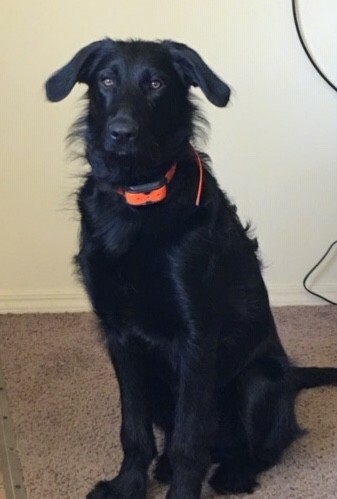 Ellie the Shepadoodle at 1 year old (German Shepherd / Standard Poodle hybrid)—"Thanks to Shannon of Shannon's Shamrock Kennels for allowing us to adopt this wonderful dog; she continues to be our pride and joy!" Ellie the Shepadoodle at 5 months old—"She's a wonderful dog, has a calm temperament and is very intelligent. We've had her for just over a month now and couldn't be happier with her; she fit right into our family of two kids and two other dogs."